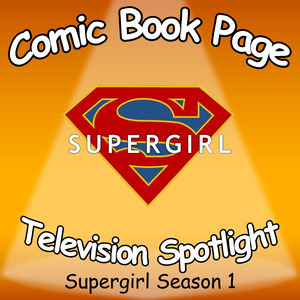 This entry was posted in Podcast, Podcasts, PopArtsPlace, Review, Television and tagged Calista Flockhart, Cat Grant, CBS, Chyler Leigh, CW, Dave Harewood, David Harewood, Dean Cain, Flash, Greg Berlanti, Jenna Dewan Tatum, Lex Luthor, Martian Manhunter, Max Lord, Melissa Benoist, Peter Facinelli, Supergirl on October 5, 2017 by Kay. 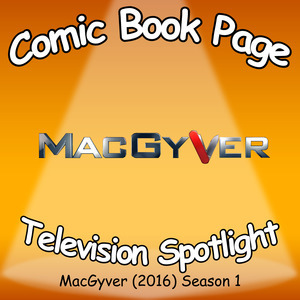 John, of ComicBookPage, and Kay, of PopArtsPlace, have a spoiler filled discussion about the first season of the new MacGyver series including spoilers for the original MacGyver series. This entry was posted in Podcast, Podcasts, PopArtsPlace, Review, Television and tagged CBS, MacGyver on September 28, 2017 by Kay. 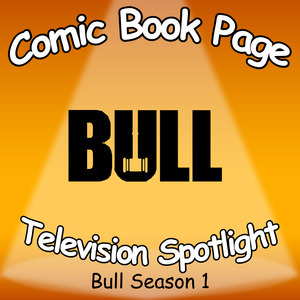 John, of ComicBookPage, and Kay, of PopArtsPlace, have a spoiler filled discussion about the first season of Bull. This entry was posted in Podcast, Podcasts, PopArtsPlace, Review, Television and tagged Bull, CBS, Michael Weatherly on September 23, 2017 by Kay. 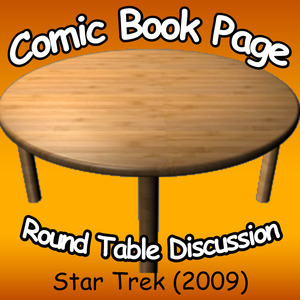 John Mayo, of ComicBookPage, and Kay Kellam, of PopArtsPlace, discuss the Star Trek film from 2009 which transitioned the franchise into a new timeline. NOTE: There were problems with the audio recording for John’s side of the conversation which have been fixes as much as possible. While John can be heard, the audio isn’t that good. This entry was posted in Movie, Podcast, Podcasts, PopArtsPlace, Review and tagged Amanda Grayson, Anton Yelchin, Ben Cross, Bones, Bruce Greenwood, CBS, Chekov, Chris Hemsworth, Chris Pine, Eric Bana, Gaila, George Kirk, Heroes, Hulk, James T. Kirk, James Tiberius Kirk, Jennifer Morrison, JJ Abrams, John Cho, Karl Urban, Kirk, Leonard Nimoy, Marvel, Movie, Nero, Paramount, Pike, Rachel Nichols, Sarek, Scotty, Simon Pegg, Spock, Spock Prime, Star Trek, Sulu, The Original Series, Uhura, Winona Kirk, Winona Ryder, Zachary Quinto, Zoe Saldana on July 15, 2016 by Kay.